Kim Kardashian is expecting her third child, a baby girl via surrogate. 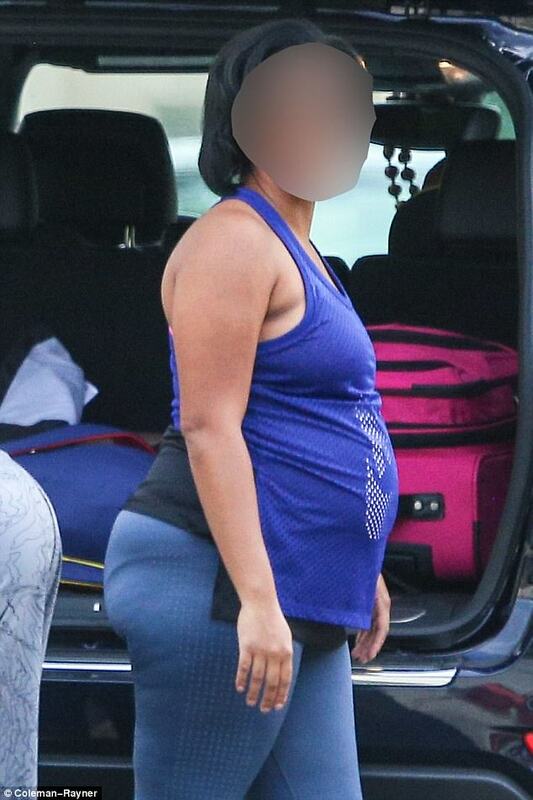 And on Monday, the reality star’s surrogate was spotted running errands in a California suburb. The pregnant woman showed off her growing baby bump while sporting leggings and a bright top. Kim and husband Kanye West are expecting a baby girl due ‘before Christmas, according to US Weekly. The lovebirds are parents to two children together: North, four, and Saint, age one. The woman kept it simple in cropped blue leggings, adding a Nike top and coordinating sandals. Kim had the baby shower last week for her daughter.